The Debate: Are we really living in a society where discarded food is more important than the welfare of the poor? Are we really living in a society where discarded food is more important than the welfare of the poor? Today, while browsing the Internet, I went on an online forum where I post regularly. This forum, though mainly about the football team I support, also sees various other issues discussed. 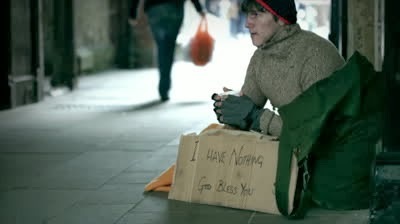 One thread I viewed was related to homelessness and vagrancy. 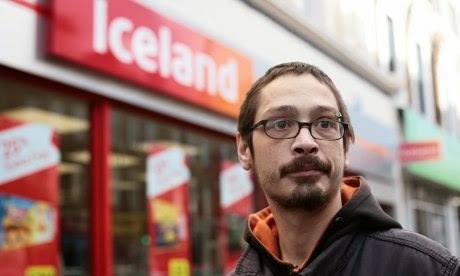 On there, aside from reading some of the stories of homelessness and near-destitution from a surprisingly high amount of people, I also found out about the Iceland Three for the first time. And I've never felt so disgusted in all my life. The Iceland Three are Paul May, Jason Chan, and William James, residents of a squat in north London. Back in October last year, the trio climbed over a wall at the back of Iceland - a supermarket chain - in Kentish Town, and took some food from a skip, to the grand value of £33. A member of the public, possibly thinking they were breaking into the store, called the police, who then came and arrested the men. Initially charged with burglary, the trio were released after spending 19 hours in a police cell. As far as everyone was concerned, that was the end of it. However, this week, a statement from the Crown Prosecution Service confirmed that the men would stand trial in a month's time. Despite the chief executive of Iceland, Malcolm Walker, publicly stating that “(Iceland) did not call police (and) did not seek prosecution”, the CPS replied by saying: "We feel there is significant public interest in prosecuting these three individuals." My question is along the lines of the one posed by Mr Walker: How? How is this in the public interest? Why do they believe that it is in the public interest to pursue a case against these three individuals? Is it in the public interest to make a public display of contempt and callousness, akin to those shown in Dickensian Britain, towards those who are destitute and homeless? Is it in the public interest to demonise and further ruin the lives of vulnerable people whose only goal that evening was to avoid starvation, by invoking a law created nearly 200 years ago? Is it in the public interest to deliberately go against the wishes of the business owners, who were happy to let the whole thing slide? And is it in the public interest to show the nation how discarded, out of date food in a skip, soon to be thrown into a landfill, is more important than human beings who just so happen to be out on the streets? A year ago, Left Foot Forward revealed how eight million people in the UK are just one missed paycheque away from homelessness. It doesn’t take anything to drive someone into destitution nowadays. And when it happens, don’t expect any favours from the Big Society. A petition has appeared online calling for Baljit Ublhey, the head of the CPS in London, to intervene in this case. Now, I’m not one for spamming people’s inboxes and feeds with petition signature requests, but this is certainly a case which I believe needs to be publicised. This is an attack not just on the poor and the destitute, but on each and every one who has, at some point, had money problems, and may have even come close to losing their home or livelihood. And in today’s Britain, that figure is much higher than you think.